Boom. The top speed of the car we featured yesterday was 15 mph. This car will do 245 mph. Yeah, that’s a McLaren F1 difference in top speed (they topped out at 231 with the rev limiter). This is one of the finest and fastest legitimate modern supercars in existence. 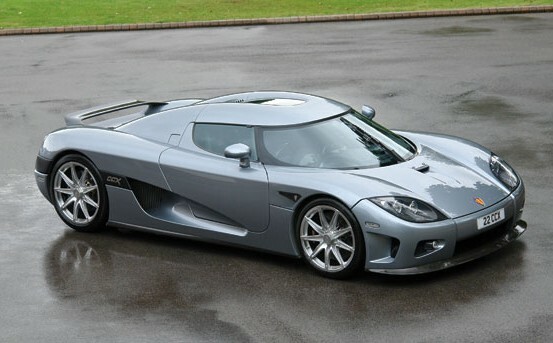 Christian von Koenigsegg’s first hand built road car was delivered to its new owner in 2002. The CCX model you see here was introduced for 2006 with an eye toward entering the American market (with emissions compliance, etc.). It uses a Koenigsegg-designed twin-supercharged 4.7-liter V8 making 806 horsepower with 62 mph coming in a scant 3.2 seconds. The top on this car is removable and can be stowed in the trunk at the front of the car – it fits in there just perfectly and is a really neat design feature. Even neater are the doors: they are not gullwing doors nor are they “Lambo” scissor doors. They are what Koenigsegg refers to as “dihedral synchro-helix” doors. In other words, instead of just flipping forward, they go out, then rotate forward for a truly alien look. Coolest. Doors. Ever. It’s also pretty rare. Only 27 were built and this is one of only eight that are in right-hand drive configuration. It is expected to sell for between $380,000-$460,000, the high-end of that being only about $100,000 less than the price as new. Then again, it only has 1,700 miles on it, so it’s almost new. You can read more here and check out more from RM in London, here. The Lamborghini Reventón is an ultra-rare, ultra-expensive, sort of “super Murciélago.” It has the 6.5-liter V12 making 631 horsepower engine straight out of the Murciélago LP640. So, you’re paying many times the price of a Murciélago for the same performance and power. And by “many times” I mean that this car cost $2 million when new. That’s insane. So what are you paying for? Styling? Not really. If anything, this car is part Murciélago and part Aventador. It’s all Murciélago underneath but with styling that looks more like the follow-up model. If I paid $2 million for something that I thought was only one of 20, only to find, three years later, that they were putting into production a car that closely resembled the one I bought, but with shinier paint and a lot more horsepower, I would not be a happy camper. And yes, that’s right, there were only twenty of these built, so they don’t really come up for sale everyday. In fact, all twenty were pre-sold before the car was even revealed. The one offered here is “for sale” and not going under the hammer (as I understand it). If you’re in London, stop by and buy it. I’m not sure what the asking price is, but, as the saying goes, if you need to ask, you can’t afford it. 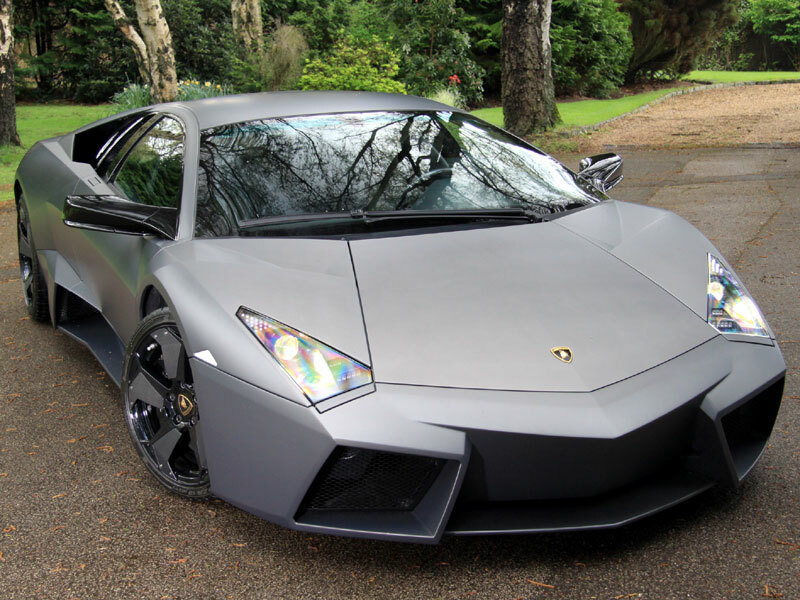 This is a car for true Lamborghini and/or super car collectors. It’s cool, but the Aventador is better in every way. Buy this only if you want to tell your friends/potential trophy spouse that it is “one of only twenty.” If you want more information on this car, click here. And to see what else H&H is offering at this sale, click here.